This is for a set of my 6 handmade gift tags. These also can be used for scrapbooking, journaling, perfect for teacher, housewarming or a hostess gift and bookmarks! 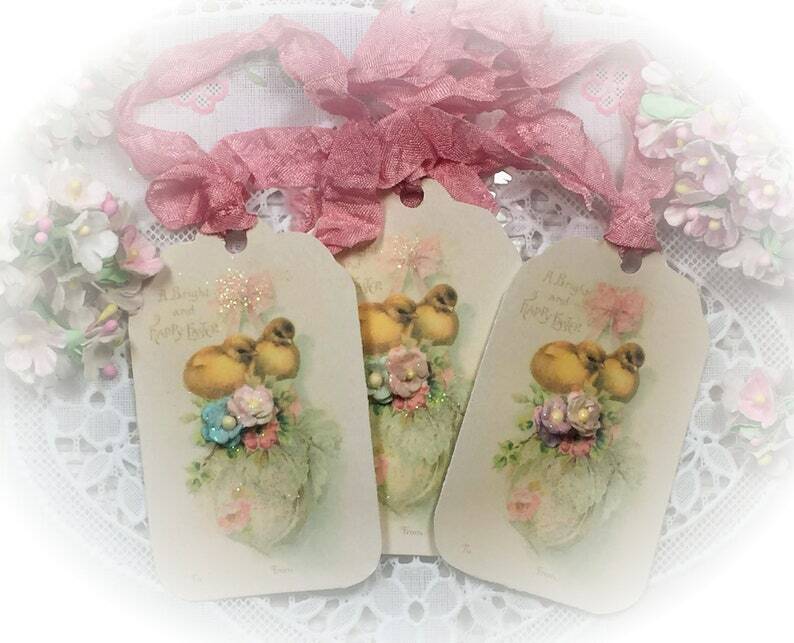 These are from a vintage Easter tag that hav been reproduced. Featuring cute Easter ducklings and says "A Bright and Happy Easter". I have embellished with iridescent sugary glitter, vintage millinery flowers and vintage satin rayon crinkled ribbon.